Hyrule Kingdom's most feared nemesis, Ganondorf, has today been revealed as a playable character in Hyrule Warriors for Wii U during a Nintendo Direct broadcast that takes a closer look at the game. Hosted by Yosuke Hayashi of Koei Tecmo Games, with Eiji Aonuma of Nintendo co-presenting, the Hyrule Warriors Direct is available to watch now on YouTube or via the Nintendo Direct website. Alongside the opportunity to play as Ganondorf – and a host of other previously revealed characters from Zelda history - fans can also look forward to seeing both Zant from The Legend of Zelda: Twilight Princess and Ghirahim from The Legend of Zelda: Skyward Sword as playable characters when the game launches on 19th September. With Zant's bladed hands and summoning abilities, and Ghirahim's formidable swordsman skills and powers of teleportation, players will be able to experience the most-feared enemies from The Legend of Zelda series like never before. During the broadcast, Mr Hayashi shows how players can progress through Legend Mode, taking over enemy keeps to bolster their numbers and using familiar Zelda series items to overcome obstacles as well as towering bosses. Meanwhile Mr Aonuma is on hand to lift the lid on a few cameo appearances sure to please long-term Zelda fans. Also spotlighted in today's Nintendo Direct is the all-new Adventure Mode, which will offer a nostalgic twist on the original The Legend of Zelda game by taking players through a recreated version of its overworld map, with each block on the grid representing one stage with its own unique victory conditions. Transported into the world of Hyrule Warriors each time, in true Zelda fashion players will be able to explore the map and locate rare items, while new weapons and some playable characters are only unlockable by advancing in this mode. For fans looking to keep up with the latest Hylian fashion trends, meanwhile, at launch a Hyrule Warriors Limited Edition software bundle will also be available, complete with a Hyrule Warriors scarf alongside a physical copy of the game. Paying tribute to the scarf Link wears in Hyrule Warriors, the blue and orange-coloured neckwear comes complete with the symbol of the Triforce boldly emblazoned across its front. As a final reveal in today's broadcast, fans who register their copy of Hyrule Warriors with Club Nintendo between 09:00 BST on 19th September 2014 and 22:59 BST on 17th October 2014 can receive a free download code for a Ganondorf Legacy Costume Set. 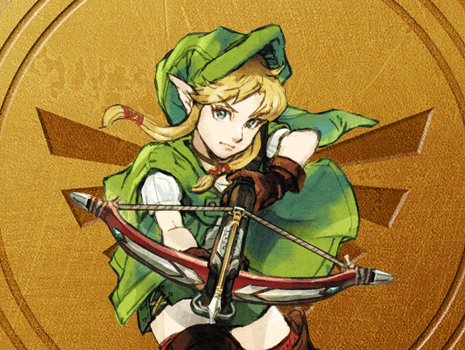 Stay tuned for more information on how to get hold of additional Hyrule Warriors costumes in the future. To get the lowdown on Hyrule Warriors before it launches for Wii U on 19th September, a Hyrule Warriors Direct can now be viewed on YouTube or via the Nintendo Direct website. You can also pre-order your own copy of Hyrule Warriors today by visiting the Nintendo Official UK Store.